Senate Majority Leader Mitch McConnell delivered a stern reprimand of Donald Trump during a Capitol Hill press conference on Tuesday. McConnell spoke as condemnation from all sides of the Republican Party continued raining in on Trump, the presumptive Republican nominee, for alleging that US District Court Judge Gonzalo Curiel cannot be impartial in a case regarding the Manhattan billionaire’s now-defunct Trump University that he’s presiding over. Trump has said that because Curiel is of Mexican heritage, and Trump is “building a wall” along the US/Mexico border, he is biased against him. Many Republicans — such as House Speaker Paul Ryan, Sens. Bob Corker, Lindsey Graham, and Jeff Flake, former House Speaker Newt Gingrich, and Ohio Gov. John Kasich — have spent the past five days disavowing Trump’s remarks. 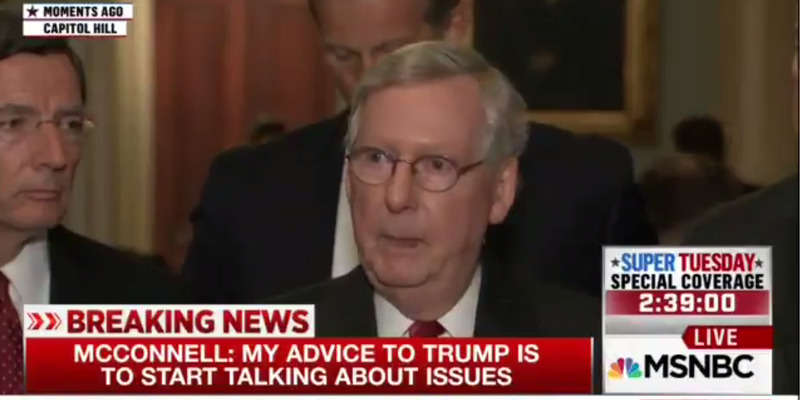 McConnell, for his part, refused to call the line of attack racist when pressed by host Chuck Todd. 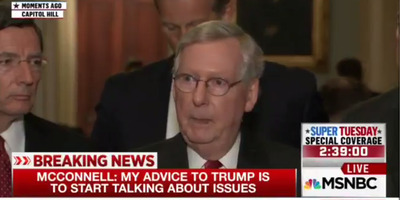 “And in the last 10 days, it has become clear that Sen. McConnell will go to any length to support Donald Trump,” he continued. He also called on the bombastic billionaire to release his tax returns, something Trump has insisted he will not do until an IRS audit is complete. That audit, Trump said, may or may not be completed ahead of the November election. 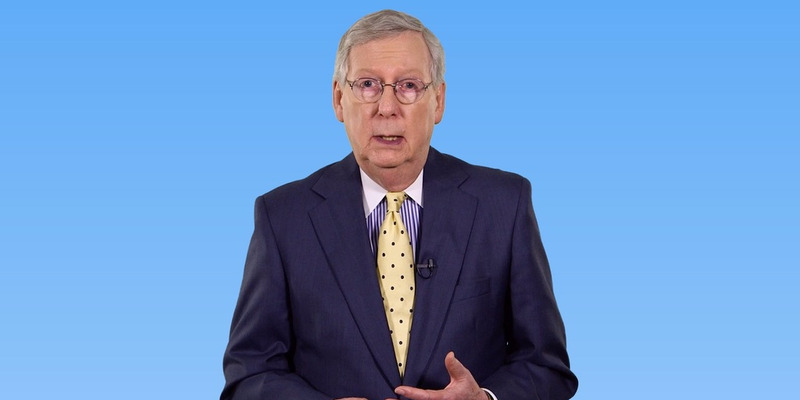 “For the last 30 or 40 years, every candidate for president has released their tax returns, and I think Donald Trump should as well,” McConnell said.